Dads are just the best. He kills all the spiders in the house, he makes sure we understand toilet-humor and he always loves us unconditionally (even if Dad shows it a little differently than Mom). So in honor of our Pop, we’re sharing 10 amazing things to do with Dad on Father’s Day in LA. 1. Dodger Game – One of the best pastimes for a Dad is cheering the Dodgers at their home stadium. At 4:10 on June 19th, the Dodgers are playing against the Milwaukee Brewers and what looks to be an awesome afternoon of baseball and Doyer dogs! 2. Play Some Golf – LA has an ample selection of amazing golf courses. From Pelican Hill in Newport to the Lakeside Golf Club in Burbank and everywhere in between, check out some amazing courses that will give Dad the best game of his life. If money is an issue, you’ll still be able to get your golfing kicks at a driving range. 3. Bowling – Is your Dad a Big Lebowski fan? Like to play games without the beating sun or the crowds? Take pops out for bowling with the rest of the fam. Our favorites are PINZ in the Valley or Lucky Strike in Hollywood for a bit of Los Angeles flair, but your local bowling alley will do just the trick. 4. BBQ – My Dad’s perfect Father’s Day involves a pool and some BBQ. But for those of you who don’t have a BBQ at home, you’ve got plenty of options! From free BBQ pits at the park to some famous BBQ joints in town, gift Dad a slab of ribs so that he can take a break from the grilling! 5. Beer Brewery Tour – Dads and beer go together like… well, Dads and beers! From the many local breweries in LA to the awesome multi-location beer tours in LA, Dad would love to relax and get a taste of LA with some of the greatest beer on the West Coast. 7. Water Sports – If your Dad likes adventure, try taking him to Marina Del Rey or the beach to try jet-skiing, kayaking, or surfing. He’ll enjoy some much needed peace with the ocean and some major ‘zen’ bonding time. 9. Comedy Show – If your pops is in need of a good laugh, try something a little offbeat and a show that’s sure to entertain him. With famous comedy venues like the Laugh Factory, Hollywood Improv and The Upright Citizens Brigade Theatre there are more than enough places to see some of the best comedians in the world! 10. Get Artsy – Perhaps Dad is an intellectual artists looking for his muse. 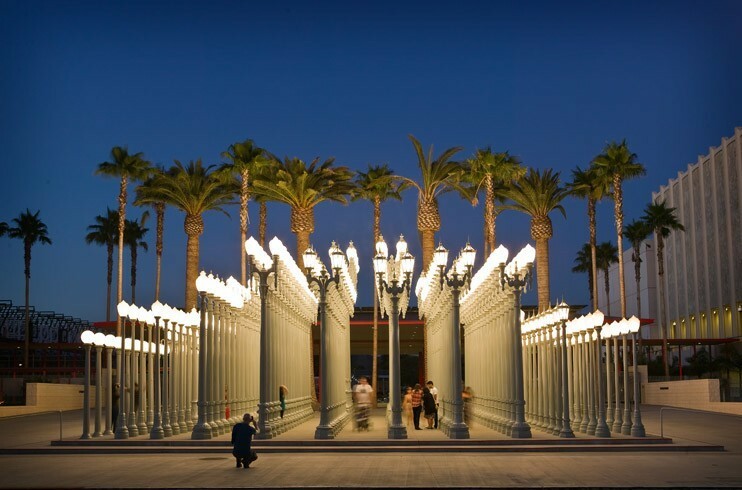 Taking your Dad to the Getty, the Broad or LACMA might be a great way to start a conversation! If you’re Dad is more hands on with his art, try taking him to a pottery class or a wine and paint session! So grab a beer, enjoy a game, relax or feel an adrenaline rush on Father’s Day in LA! He deserves it!